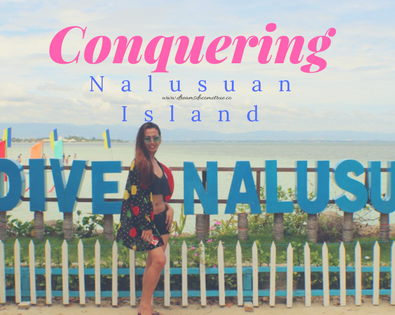 As much as I want to write and update my blogs, I always ended up (and eventually got buried) by my endless other errands online, so I am very much missing the blogging part. Much more with editing and video making, time is always short. 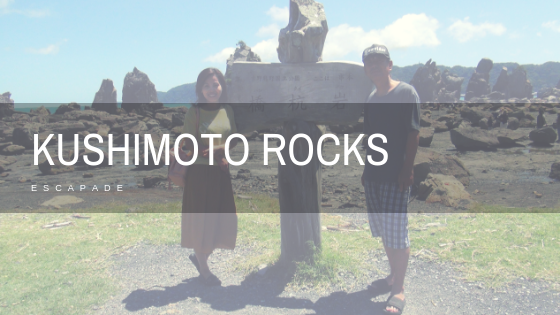 Okay, so last week of July, off we went and explore the awesome Kushimoto Rocks of Wakayama Prefecture and found so much attachment to the huge pillar of rocks. My boys were having a grand time and mommy does, too! Amazing views captured my heart since I first laid my eyes, ten years ago to be exact! Being with nature surely refreshes you and unload all the unnecessary baggages you are carrying that moment you step your foot in this place. Since it is a tourist spot, you can see people having their lazy time and families unwinding. Bring your cameras, video or DSLR. You will surely have a great time like us! There was this story of the legend of this place. Found it interesting. So cool! Def on my bucket list now! I woke with wanderlust this morning and this article just made it worse, we need a vacation! Those rock formations are amazing…… As legends told it was an unfinished bridge….. Meeting deadlines are always the culprit for unfinished business….. Seems quite an adventurous trip and have fun time . This post got me thinking….. It is time to pack my bag for another trip. I am glad you have shared this! Look at those amazing rock formations. Hope you are not too busy to update your blog, I love the way you present details. Thanks for sharing once again.